now grouped to reduce the clutter in your notification panel. This is particularly handy if you are in a lot of groups in Teams with a lot of conversation & activity. Preview of images within Teams is also in this new update along with a host of bug fixes and performance updates. All-in-all, a great update to one of the new apps in the Microsoft lineup. The update is rolling out in the Play Store now and should be hitting devices over the course of the next day or two that have it installed. Remember that in order to use Microsoft Teams, you have to be an Enterprise Office 365 customer and it has to be enabled on your account. If you are enterprise customer but don’t see the option for Teams, check with your System Administrator. 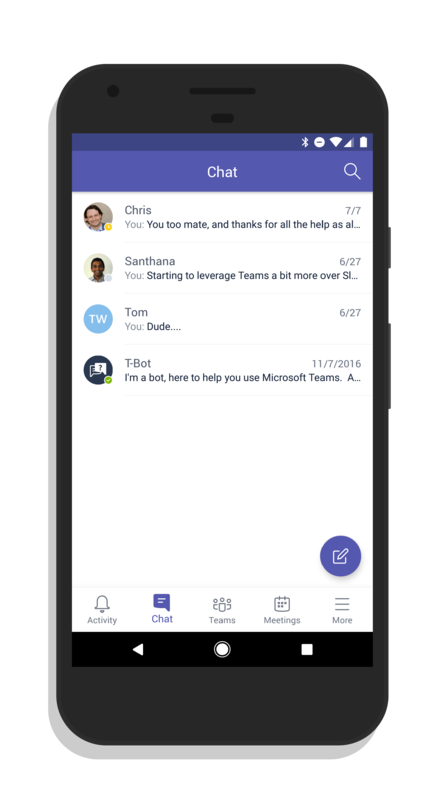 The Microsoft Teams app is a free download in the Play Store.